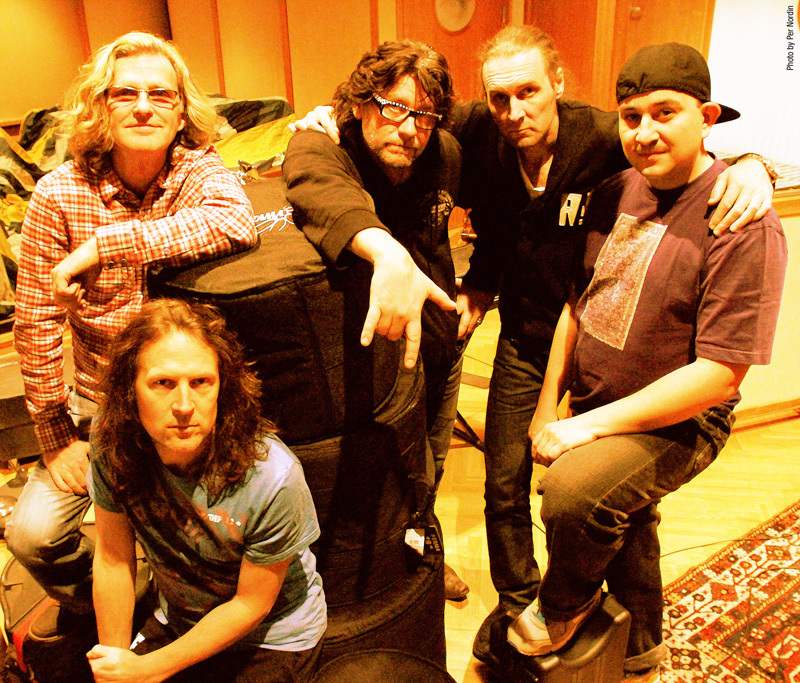 Opening your melodic progressive rock album with a nearly 14 minute opus might be a be a daunting task for a nascent band, but not for The Flower Kings. These veterans of classic prog, channeling the likes of King Crimson, Pink Floyd, and Genesis, among others, do it with aplomb and interest. 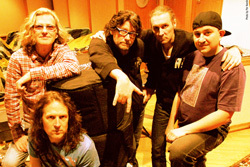 The Flower Kings: swedish kings of prog. Adding more classic appeal the band record 'live' in the studio recording to reel to reel tape, often arranging songs on the fly as a team. They also used a bevy of vintage keyboards including Hammond B3, Mellotron M 400, and Fender Rhodes. For an additional organic flavor 'tube' amps were preferred rather than they modern successors. The album has a theme dealing with observations about humanity's woes. Desolation Rose revolves "around some more disturbing observations on mankind's failure to create the paradise we all hope for, failing due to greed, fear and ignorance ... observations by an angel who resides in a mysterious tower, looking down on all this ongoing perpetual insanity, yet unable to reach out and help." I wish I would have had lyrics provided with my digital promo copy but, alas, not so. Add these parts together, with some rather exceptional musicianship, and you have another classic, but hardly predictable, Flower Kings album. Actually, some might find this album to be darker than some of their other works, and so, might find it difficult to dive in or connect right away. If found this with rather somber and direct Sleeping Bones and heavy, sometimes lumbering, Dark Fascist Skies. Alternatively, White Tuxedo, which turns on a near musical children's rhyme, and The Resurrected Judas, whose center portion turns on pure classic prog, are simply pronouncements of The Kings's singular prog creativity. Fundamentally, then, if you like innovative and thoughtful melodic progressive rock, Desolation Rose is straight up your alley. Recommended. 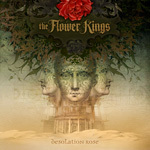 Fundamentally, then, as with most Flower Kings's albums, if you like innovative and thoughtful melodic progressive rock, Desolation Rose is straight up your alley.